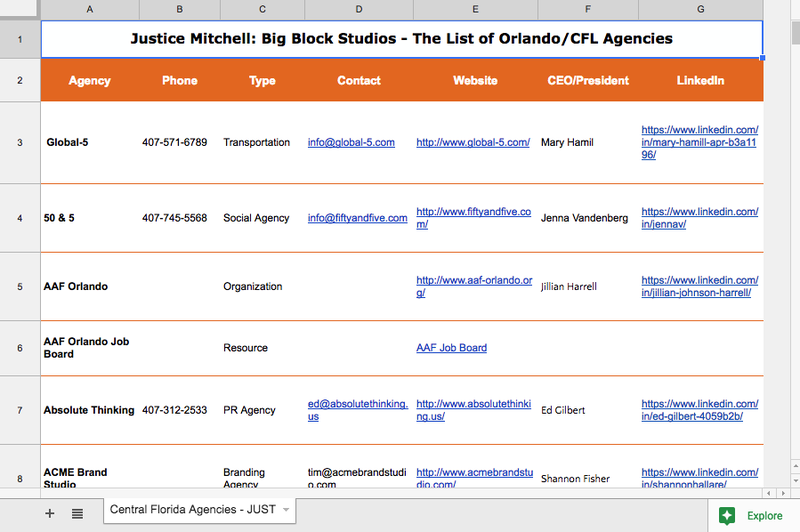 If you're new to the Orlando area, and you work in marketing, you might not know all the players. Surprisingly there are more than you think. Over the past few decades, I've done my fair share of collecting clients, contacts and talented friends. I simply call it "The List" and I hope it can help you find the career, or connect you with a talented group. Posted on August 21, 2018 by Justice Mitchell and filed under Advertising, Brand, Business, marketing and tagged the list agencies orlando advertising marketing consultants content marketing social media video copyrighting films.